The Princess 23 Metre is one of the finest boats on the Princess fleet, it is a huge volume boat with incredible entertaining space on 3 levels. It has 5 separate seating area’s and a vast open fly bridge offering spectacular views if you are viewing sailing events or providing Cowes Week hospitality for your clients. 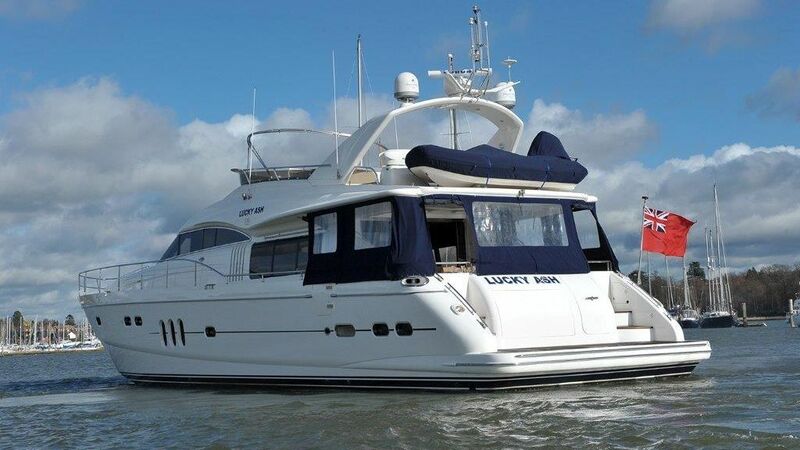 The 23 Meter Princess has a superb turn of speed and provides a superb ‘exclusive’ hospitality venue that can take you cruising through out the Solent and beyond. Comfortable with up to 12 guests.